Having an allergy has become quite fashionable over the past few years, but the reality of an allergy or an intolerance is far from a pleasant experience and finding the cause of the problem isn't always easy. Although the rate is increasing, the true level of allergies remains low in the population. 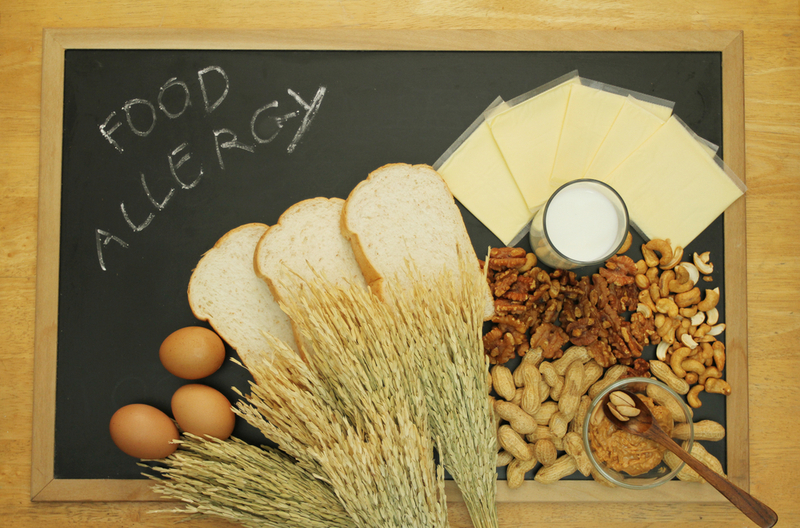 Despite over 20% of adults saying that they had an allergy to a food, only 1-2% of adults in the UK actually have a diagnosed food allergy. In children the figures are slightly higher at between 5-8%, but the majority of children will grow out of their allergy. So why are people assuming they have an allergy to food? And what is it about cutting foods from the diet that is so appealing? I thought I'd delve into allergies and intolerances to set the record straight, and find out what the realities of living with a potentially life-threatening condition are like. The technical definition of an allergy is the body's immune system response to usually harmless substances such as pollen, food or house dust mites. For most people these pose no threat, but for an 'allergic' individual, the body sees the substance as foreign and produces an inappropriate response in a bid to get rid of it as soon as possible. Allergies can manifest themselves in lots of different ways but symptoms can range from mild itching and sneezing, right through to a full blown allergic reaction (known as anaphylaxis) which can include breathing difficulties, swelling of the face, hands and airways, vomiting and may be life threatening. Reactions tend to be pretty immediate and fast moving. Intolerances are different because this isn't an immune response. A food intolerance usually occurs when the body is unable to digest or deal with a certain substance. Reactions tend to be delayed and can sometimes occur hours, or even days, after ingesting the trigger food. What are the most common allergies and intolerances? Allergic reactions can occur due to virtually any substance including pollen, dust, latex and many different foods including nuts, milk, eggs, wheat, fish, seafood and kiwi fruit. Hayfever caused by pollen is the most common allergic reaction in the UK, with 1 in 4 adults suffering in the spring and summer. In terms of food allergies, milk is the most common in young children with 2-5% showing symptoms. Thankfully the majority tend to grow out of a milk allergy by the age of 5, with only 1 in 1,000 adults suffering from true milk allergy. Peanut and tree nut allergies are less common, but do appear to be increasing in number and tend to be lifelong. Lactose intolerance (an intolerance to the sugar, lactose, in milk) happens when an individual doesn't have the right enzymes to break down the lactose properly. The result is undigested lactose entering the large intestine which can lead to abdominal pain, cramping, bloating and diarrhoea. Gluten intolerance is also a common problem with Coeliac Disease affecting 1 in 100 people, and Non Coeliac Gluten Sensitivity (a less well known condition) possibly affecting even more. I have an allergy – how can I lose weight? 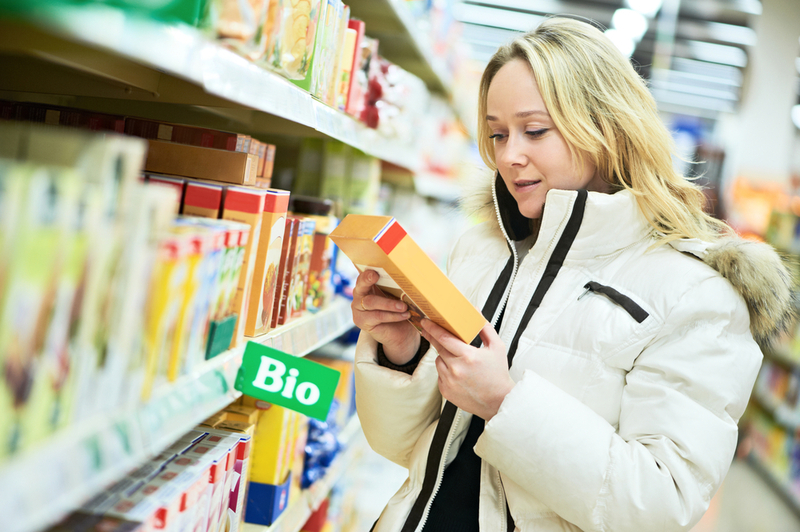 If you suspect you have a food allergy or intolerance, using a food diary system can actually be pretty helpful – not only in helping to keep track of your calories but also to find out what might be causing your symptoms. One of the first things a healthcare professional will advise you to do if you have symptoms that might be linked to food allergy or intolerance will be to keep a food and symptoms diary. So why not see if Nutracheck can help you? Keep a record of what you are eating and how you feel – it might be an obvious trigger such as milk, gluten or wheat, or something less obvious such as onions or garlic. If you're already avoiding certain foods because of a diagnosed food allergy or intolerance, losing weight is still possible. Use the diary as it is intended but make sure you exclude the trigger food. If your allergy or intolerance is to a whole food group e.g. dairy foods, make sure you replace the nutrients you'll be missing out on with other foods or drinks. For example, soya milk and yogurts or lactose free products depending on what your allergy or intolerance is, but they still provide protein and most often calcium like cows milk.